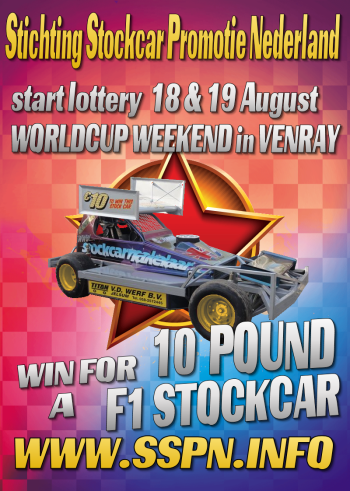 Win an FWJ F1 stock car for a tenner! Stichting Stockcar Promotie Nederland are offering the chance to win an FWJ Racing F1 stock car, complete and ready to race, for just a tenner! Full details are on their website.